Zari is in Tanzania to attend a party of Diamond Platnumz's manager, Hamisi Tale aka Babutale, whose daughter makes 40 days on December 2. You must have seen the Invitation on Diamond Platnumz wall with this hashtag #Tatiana40, Zari commented, indicating that Hamisa Mobetto should not be allowed anywhere close to the venue of the party. Zari - "Naomba Mashetani wasitupitie kwa mauledi. Naomba Dr Sanura aweke ubani wakutosha. Nasubir pilau kwa DHL." 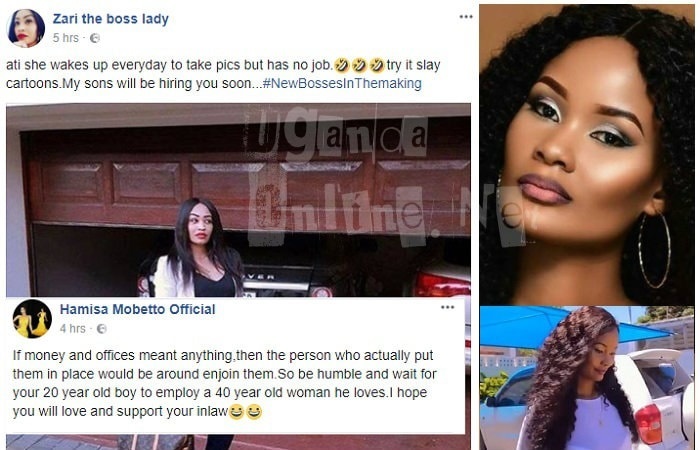 What Zari is saying is that; "I pray that the devil will not overpower us, I pray Dr Sanura to give you enough perfume to keep the devil very far and if it's food that she wants, let it be sent through DHL." 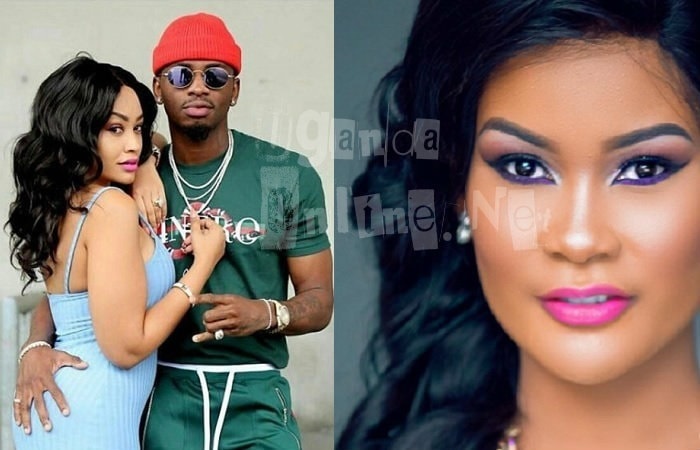 When Zari talks of the devil here, you all know the reason Diamond Platnumz gave for sleeping with Hamisa Mobetto, he blamed it all on the devil. This is coming two days after the Bongo star released two songs dubbed; Sitomi and Niache in which he assures the video vixen and baby mama that he wants nothing to do with her. Babutale also adds that he does not want spies at the party recalling Nillan's 40 day celebration when Hamisa Mobetto attended and as it turned out later, she had all along been having an affair with Dee. The fight between these two is being upgraded from throwing stones on social media to parties. Two parties are happening on the same day in the same vicinity. The Zari All White Party and the Gal Power Party will be held on December 21 with Hamisa Mobetto being the chief guest at the latter. "Ati she wakes up every day to take pics, but has no job. Try it slay cartoons, my sons will be hiring you soon." "If the money and offices meant anything, then the person who actually put them in place would be around enjoying them. So be humble and wait for your 20 year old boy to employ a 40 year old woman he loves."